Additionally, Wilmington is a thriving port city. Dozens of private industries and marine-related services share the Cape Fear River with the North Carolina Ports Authority. A designated foreign trade zone, shippers using the North Carolina ports can find service to all parts of the world, realize significant savings on in-land transportation costs, and benefit from the cost efficient operations at the state ports. Midway between New York City and Miami, Wilmington International Airport is the region’s busiest airport with 42 daily scheduled flights via three major US airlines. Wilmington is also a great place to study and teach: its public schools are recognized as among the best in North Carolina. Of particular note is the system’s participation in a voluntary year-round school pilot project. New Hanover County (Wilmington, NC is its county seat) has 25 elementary schools, 7 middle schools and 5 public high schools. As alternatives to the public school system, popular private and parochial schools are: Cape Fear Academy, Wilmington Christian Academy, Wilmington Montessori School, St. Mary's Catholic School and St. Marks Catholic School. For higher education, The University of North Carolina at Wilmington (UNC-W) consistently ranks in the top ten public universities in the South according to U.S. News and World Report. The school offers a challenging curriculum, a nationally accredited business school, and one of the best marine biology programs in the world. (according to The Gourman Report: A Rating of Undergraduate Programs in American and International Universities.) UNC-W also offers a lifelong learning curriculum for area residents and assists with the improvement of public school education by enhancing the personal, cultural, and economic health of the region. Cape Fear Community College, one of the largest community colleges in the state, offers two year vocational and technical programs with the opportunity for college transfer. Miller-Motte Business College also provides business, allied health, and technical training. Wilmington has two major health care facilities. New Hanover Regional Medical Center (NHRMC) is a 628-bed, not-for-profit, publicly-owned referral hospital. As the eighth largest hospital in the state, it specializes in many areas of health care including cardiology, neurology, community wellness and rehabilitation. As a teaching and regional referral center, NHRMC offers specialty medical and surgical care, including freestanding rehabilitation and psychiatric hospitals. New Hanover Regional has one of 10 trauma centers in the State, certified at Level II or above operating as Southeastern North Carolina’s Regional Trauma Center. VitaLink, a mobile, intensive care unit, is available to transport patients to the hospital 24 hours a day. Cape Fear Hospital is a 141-bed, not-for-profit, hospital that is part of the New Hanover Health Network and serves as the network's home of orthopedic services. Cape Fear Hospital also offers a 24-hour Emergency Department, respiratory therapy, rehabilitation medicine, radiology and laboratory services. The New Hanover Health Network includes 450 practicing physicians and some of the most technologically progressive facilities and equipment in the state. 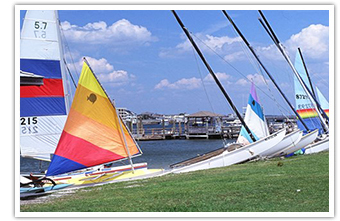 Although Wilmington, NC is a popular destination with tourists, it is even more favorable for year-round living. Quiet and friendly neighborhoods create a small town atmosphere and emphasize the pleasures of residential living. Quality schools and an inviting business climate make the Port City a popular place to live, work, and play. Deep-sea fishing, kayaking, and exploring the nature trails of a state park are just a few opportunities for those who enjoy spending time outdoors. Surfer Magazine (Feb. 2002) listed Wrightsville Beach as one of The Top 10 Best Places to Surf and Triathlete Magazine named Wilmington as one of Triathlete's Top 20 Best Places to Live for several reasons, including the Beach 2 Battleship iron-distance triathlon, which takes place in Wilmington, NC each November. If sports aren’t your thing, you can spend the morning sunbathing on one of the sandy beaches and the afternoon exploring a Civil War battlefield or state-of-the-art ocean habitats at the aquarium. From shopping, to dining, relaxing in one of Wilmington’s luxurious day spas, there truly is something for everyone! In addition, Wilmington, NC has a lively cultural arts scene. There are historic sites and museums for children, fine art lovers, railroad enthusiasts and history buffs. Fine arts galleries abound, most of which feature local artists. In fact, Wilmington was named one of The 100 Best Small Art Towns in America by Countryman Press (2005) and one of The 10 Great Arts Places by American Style Magazine (2002). Thanks to a growing community of local talent affiliated with Screen Gems Studios and the film industry, Wilmington, NC has also been put on the map for its annual Cucalorus Film Festival. MovieMaker Magazine named Cucalorus Film Festival one of The 25 Coolest Film Festivals (2009). Incidentally, MovieMaker Magazine also named Wilmington, NC as one of The 25 Best Places to Live. Other annual festivals include the Azalea Festival, Riverfest, and a regular roster of community and sporting events. Finally, if you work up an appetite enjoying all of Wilmington’s great leisure activities, look no further than the celebrated fine dining establishments, local seafood houses, or popular restaurant chains. When the time comes to retire, many people dream of a simpler, quieter lifestyle with all of the amenities of a larger city. 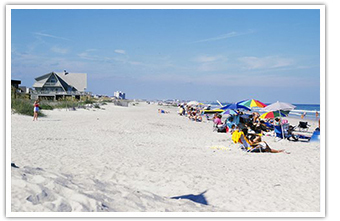 That’s why Wilmington and the surrounding area is an ideal location for many retirees. The mild climate, sprawling golf courses, top-notch medical care, and thriving cultural scene create a perfect setting for a number of vibrant communities that are a haven for retirees. In recent years, North Carolina has consistently been named one of the best places to retire because of its reasonable cost of living, low taxes, quality health care, temperate climate, and opportunities for culture and recreation. The Wilmington, NC area has earned a great reputation as interesting place to live, so in and around Wilmington you’ll find dozens of new and existing retirement communities. Half-way between New York and Florida, North Carolina also has the advantage of being not too far away or too different from the northeast where many of the retirees move from. Whether seeking peaceful respite or a more active pace, those who relocate to the area can find what they are looking for in Wilmington, North Carolina. Recently ranked as the #17th Healthiest Housing Market by Builder Magazine (2010), Wilmington, NC offers an abundance of affordable quality homes in charming, friendly neighborhoods. Real estate in Wilmington, NC combines the feel of a small town community with all the conveniences of contemporary city living. 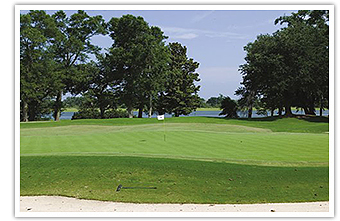 Wilmington has many established golfing neighborhoods such as Porter’s Neck Plantation, Echo Farms, Cape Fear Country Club, and Landfall. Golf Digest ranks the Wilmington, NC metro region as The 8th Best Metro Golfing Area in the Country (2002 and 2005). 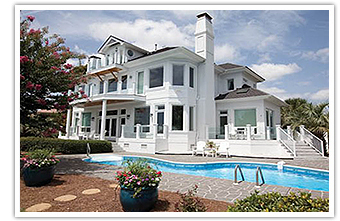 Wilmington also has a number of unique estate properties, such as this multi-home estate near Wrightsville Beach: The Preserve at Summer Rest. There are also multiple new home communities such as Marsh Oaks, Parkside at Mayfaire, Seagrove, Tanbridge Park, The Villages at Summerset, Weldon, Salt Grass, Stones Edge, Anchor's Bend, Clarendon Park, Sycamore Grove, and Covil Crossing. Established, traditional, and historic neighborhoods include: Castle Hayne, Pine Valley Estates, Forest Hills, Sunset Park, and Historic Downtown Wilmington, one of the state’s largest historic districts with 230 blocks of homes with unique character and fascinating history. There is also Myrtle Grove, Masonboro, Monkey Junction, Ogden, Bradley Creek and Wrightsboro. 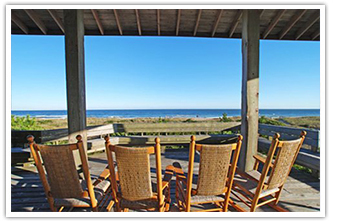 Figure Eight Island is one of New Hanover County’s most exclusive private oceanfront communities. Intracoastal Realty is here to help you determine which neighborhood in Wilmington will best suit your lifestyle. Whether you’re seeking a home suitable for rearing children; a property in a vibrant community of retirees; real estate that sits on the beach; or a stately historic mansion that overlooks the Cape Fear River, please Contact Us today. Intracoastal Realty will work with you find a place you can call home in Wilmington, NC. Ready to Search for Wilmington Homes for Sale?